Self-excited chatter vibration is one of the most unexpected phenomena during the milling operation, which is always combined with time-varying and non-stationary characteristics. 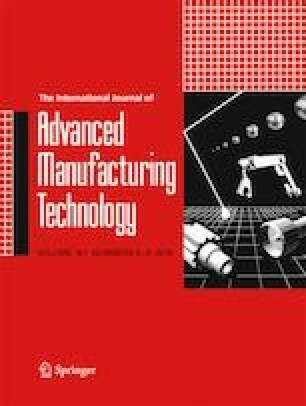 This paper presents a milling chatter detection approach combined with the time-frequency analysis (TFA) method and instantaneous frequency and energy aggregation characteristics of the chatter vibration in the milling process. A zoom synchrosqueezing transform (ZST)-based chatter identification approach and several chatter identification indicators are constructed for milling chatter identification. The TFA method ZST is used to characterize the time-varying and non-stationary characteristics of the chatter vibration. The zoom strategy is used to improve the time-frequency resolution and energy concentration of the obtained time-frequency distribution. From an energy aggregation characteristic perspective, 13 instantaneous frequency domain statistic indicators and an instantaneous energy ratio indicator based on the time-frequency distribution obtained by ZST are developed for milling chatter identification. Four groups of cutting tests with both end milling and peripheral milling are conducted to validate the effectiveness of the developed chatter identification indicators, and results show that the developed chatter identification indicators can effectively identify chatter in the milling process and are insensitive to the cutting parameters. The authors would like to acknowledge the support of the National Natural Science Foundation of China (Grant No. 51575423 and 51421004) and Natural Science Foundation of Shaanxi (No. 2017JM5120).